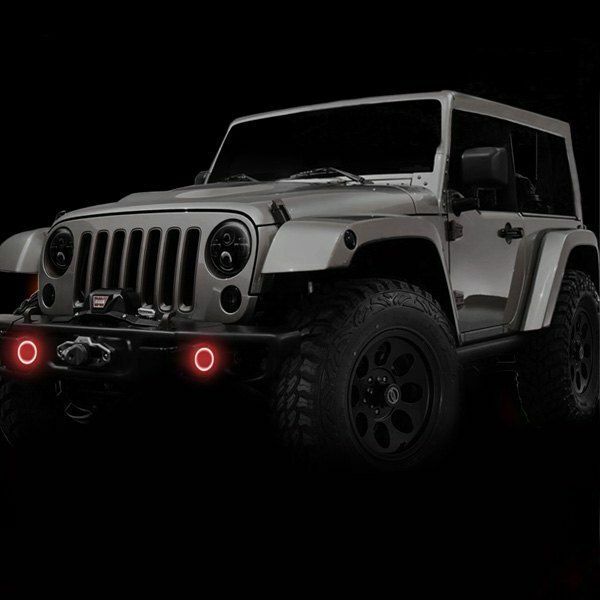 2007-2017 Jeep Wrangler Waterproof Exterior LED Fog Light Halo Kit by Oracle4MikeOctober 11, 2016The kit included difficult instructions stating that the old Fog lamps would have to be cut open, then insert the Halo Led rings, and glue the fog lamp back together. I mistakenly called Oracle per their instructions included about returning the lights. Oracle service rep was rude, and told me I needed to call New Level where I purchased the lights online. New Level tech was very understanding, and said they would refund my money, but then went on to explain that Oracle packaged the wrong instructions for mounting. The lights that were shipped did not require the difficult installation, but simply needed to be stuck on the outside of the fog lamps and wired in. New Level tech offered suggestions on wiring, and I decided to install the LED's. I purchased an ATM fuse tap from the auto parts store, and easily wired them into the fuse panel so that they work as Day Time Running lights, and come on when the key turns on. They look great. Only problem was that one of the lights double sided tape came detached from the LED, and would not stick. Used GOOP and it has held very well for 3 weeks. Even with brushless auto car wash. Very happy with New Level, not so much with Oracle. **Please note, this item is NOT a complete new assembly. Installing Fog Light halos on your vehicle will require applying this item to your EXISTING Foglight assembly. 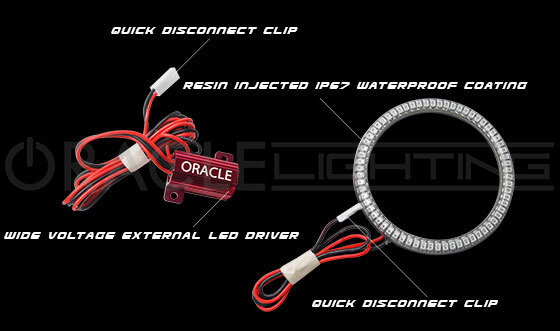 SMD Halo Kits by Oracle Lighting are taking the automotive aftermarket by storm. Installing a SMD Halo Light Kit on your vehicle will instantly change the entire appearance of your vehicle, especially at night. Oracle Halo Kits are of top quality. USA Made, No Inverter is required. Connect directly to 12V Source, such as your parking lights, for automatic operation or wire them to a switch for manual control. 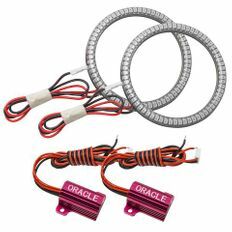 Oracle SMD LED Halo Kits use a rigid PCB with hundreds of leds on it, meaning the halo rings will not break and the light shines directionally forward. The rings have an industrial grade self adhesive backing, so they easily install onto the FogLight. Approx. 100,000 hour lifetime. The unique design of this fog light halo ring makes it water proof and it simply adheres to the lens of your existing fog light. You won't need to open the fog light assembly up to install this halo kit. This LED Halo Light Kit fits 2007-2017 Jeep Wrangler models and comes with the halo rings for both Fog Lights . Headlight halos are NOT included and are sold separately.